· The manuscripts should not be submitted simultaneously to any other publication, nor may they have been previously published elsewhere, in Turkish or English. · Articles submitted to the journal of Turkish Journal of Middle Eastern Studies, should be original contributions and should not be published previously or should not be under consideration for any other publication at the same time. · If another version of the paper is under consideration by any other publication, or has been, or will be published elsewhere, authors should inform the journal editors at the time of submission. · Articles should be between 6,000-10,000 words including footnotes and bibliography. Book reviews should be between 750-1500 words. Case analyses should be between 3000-5000 words including footnotes. · Articles should include Turkish and English max. 200 words abstract and maximum 5 keywords in both languages. · All quotation are preferred as “Chicago Style” in our journal. · Authors bear responsibility for their contributions. 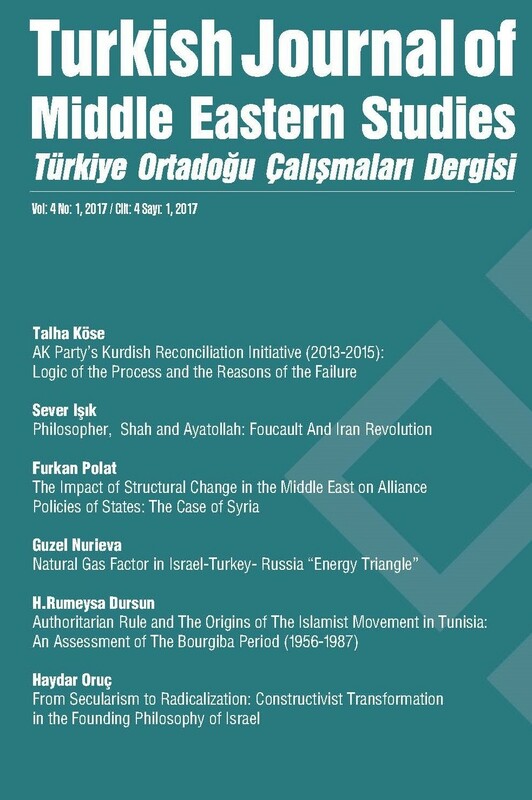 Statements of fact or opinion appearing in Turkish Journal of Middle Eastern Studies are solely those of the authors and do not imply endorsement by the journal. Papers should be written in a considerable level of academic Turkish or English. Manuscripts should be typed using Microsoft Word document file, in Times New Roman and 1 space. 12 font should be used within text while 10 font should be preferred for footnotes. If there are any tables, graphs and figures, they have to be included in the submitted main text file. Graphs and figures should be in one of the usual formats, at best in GIF or BMP format. Note: If you encounter any problems with writing citation or bibliography, the data on the web page of The Chicago Manuel of Style,” http://www.chicagomanualofstyle.org/tools_ citationguide/citation-guide-1.html” should be taken as basis.